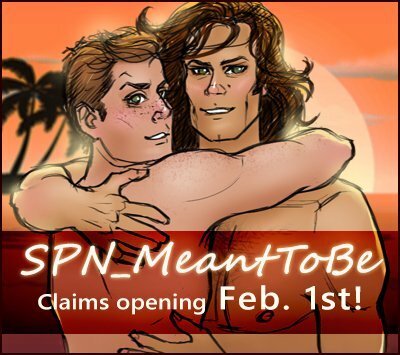 SPN-Meanttobe 2016 -- A New Round Begins! Happy New Year, Meanttobers! Last year was as much fun as the one before it, so I'm happy to announce another round for 2016. Open posting will last the entire month of May. 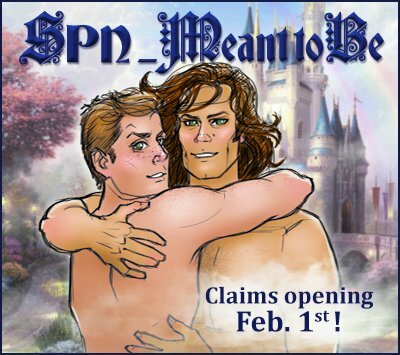 - Each prompt can be claimed by one writer and/or one artist. A writer and artist can sign up TOGETHER to do one prompt, but please sign up in the same comment. - Only one claim per person, per round.